Van Walt's most popular product combination for reliable, accurate results. 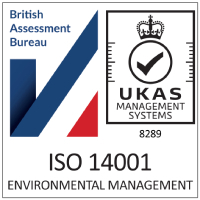 An award winning YSI multiparameter meter combined with our versatile electronic peristaltic pump with advanced memory option. 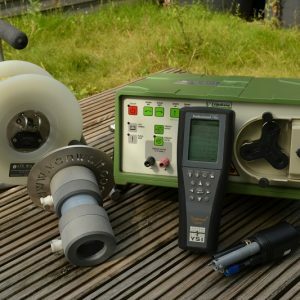 This reliable and universal electronic peristaltic pump can create a perfect vacuum for sampling and purging in shallow wells. 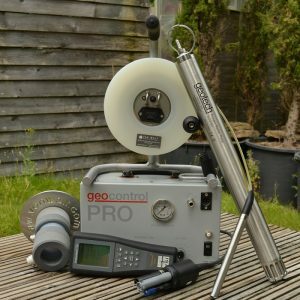 This package is perfect for low flow sampling of groundwater and is available with optional auto shut off to assist compliance with the latest standards and directives when low flow sampling in monitoring wells. 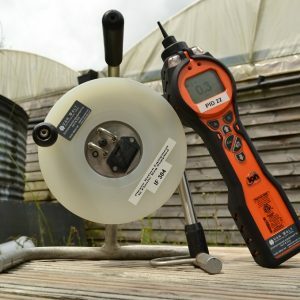 Combining an award winning YSI multiparameter meter with a standard, electronic Peristaltic Pump with dial operated speed controls designed for pressure or vacuum pumping of liquids, ideally suited for low flow field sample removal from shallow wells. Eversible flow feature for back-flushing, lightweight portable rechargeable battery and also operates from 12V car battery. 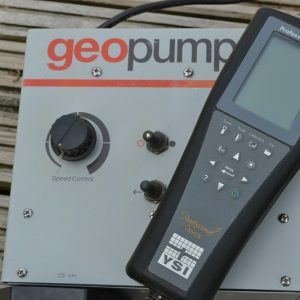 Combining an award winning YSI multiparameter meter with a small, portable, very efficient pumping package that includes a built-in, high efficiency electrical compressor and optional auto shut off. The small electric compressor uses an external rechargeable lead acid battery and no air makes contact with the sample liquid. There is no sample cross-contamination because the stainless steel pumps use a replaceable bladder either in Teflon or PE for easy cleaning. 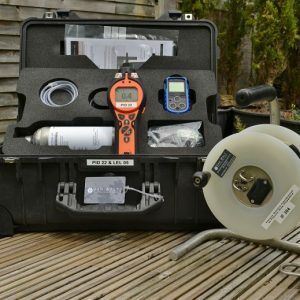 The ideal low flow groundwater sampling package capable of pumping from depths of up to 60 metres. A useful package for anyone monitoring potentially hazardous wells and boreholes. 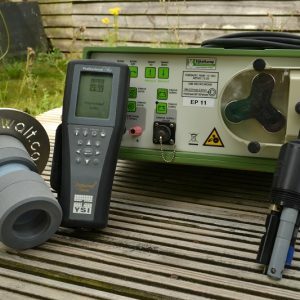 Combining a robust handheld VOC monitor for the detection of volatile organic compounds and a standard Oil Interface Meter - 30 m with a 16mm probe for the accurate measurement of hydrocarbons as thin as 1.52 mm that produces an alarm when in contact with the product layer, a solid tone and green light alarm is activated on the reel. Van Walt's 'Safe on Site' package with our robust handheld VOC meter that provides excellent detection for volatile organic compounds and has intuitive software features plus an accurate portable gas detector with audible and visual alarms which sound in the event of exposure to flammable gases, oxygen and a wide range of toxic gases onsite. Ideal for keeping you safe on petrol forecourts, landfill sites and other potentially hazardous environments. 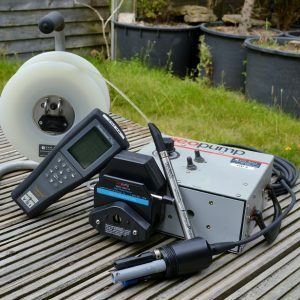 A versatile system for sampling and purging in shallow wells using an advanced Peristaltic Pump that creates a perfect vacuum, a handheld YSI multiparameter water quality test meter, a standard Oil Interface Meter - 30 m with a 16mm probe for the accurate measurement of hydrocarbons as thin as 1.52 mm in wells as small as 19mm in diameter and, when used with an in-line filter and flow-through cell creates a sophisticated low flow sampling system. A standard low flow field sampling pump with eversible flow feature for back-flushing, lightweight portable rechargeable battery that also operates from 12V car battery; a handheld YSI multiparameter water quality test meter, a standard Oil Interface Meter - 30 m with a 16mm probe for the accurate measurement of hydrocarbons as thin as 1.52 mm in wells as small as 19mm in diameter. 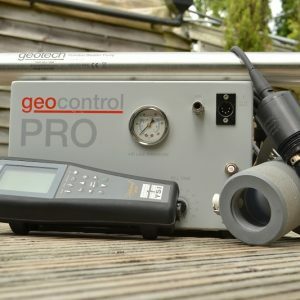 A serious low flow groundwater sampling solution for depths up to 60 metres including a handheld YSI multiparameter water quality test meter, a standard Oil Interface Meter - 30 m with a 16mm probe for the accurate measurement of hydrocarbons as thin as 1.52 mm in wells as small as 19mm in diameter and small, portable, very efficient bladder pump with compressor. 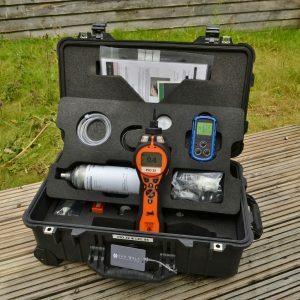 The ultimate 'Safe on Site' package with a handheld volatile organic compound (VOC) meter; an accurate portable gas detector with audible and visual alarms which sound in the event of exposure to flammable gases, oxygen and a wide range of toxic gases onsite and a standard Oil Interface Meter - 30 m with a 16mm probe for the accurate measurement of hydrocarbons as thin as 1.52 mm in wells as small as 19mm in diameter.